Hi friends! Today, I'm participating in the Top Ten Blog Hop. I did the same hop last year. It was started by my friend Christine Freet Meyer. A bunch of us are getting together to share our top ten favorite creations from 2013 and some people are offering up giveaways. You should be coming here from Kelly Jean's blog. To start this hop, go to Monika's Blog. I'm going to keep this short since there are a lot of picture to scroll through. Here are my favorites in chronological order. You Color My World Card from THIS POST. Congrats to Your Super Cute Family from THIS POST. Kids Footprint Valentine's Hanging from THIS POST. Delightful Tag from THIS POST. Enjoy This Day card from THIS POST. 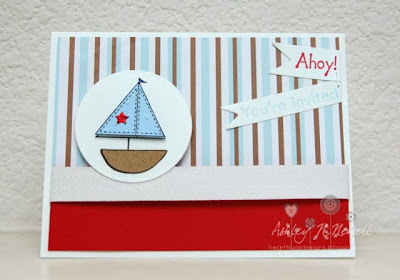 Ahoy Invites from THIS POST. 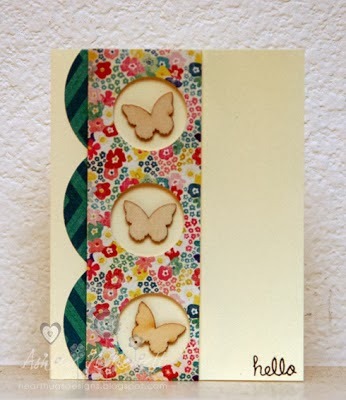 Hello Butterfly card from THIS POST. Boo Cards from THIS POST. 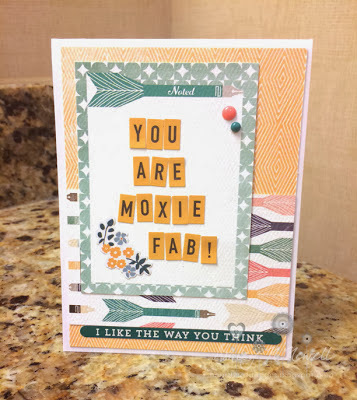 Moxie Fab Card from THIS POST. You're so Cool Card from THIS POST. 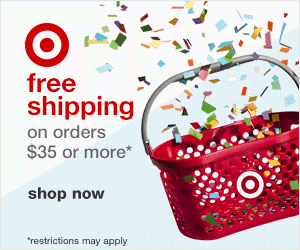 Sooooo, today is also my daughter Avery's first birthday so I figured I would do a giveaway. I will be giving away 1 spool of Whisker Graphics Divine Twine. The winner can choose what color. This giveaway is open to US residents only due to shipping costs and I will ask Whisker Graphics to ship directly to you and I'm not sure they ship to all countries. If you'd like to be entered, simply follow my blog and leave a comment saying you follow. Next up on the hop is Jennifer Haggerty. These are all just adorable!!! I am not a cardmaker so it is inspiring to see someone who has so many wonderful cards!!! Love them! 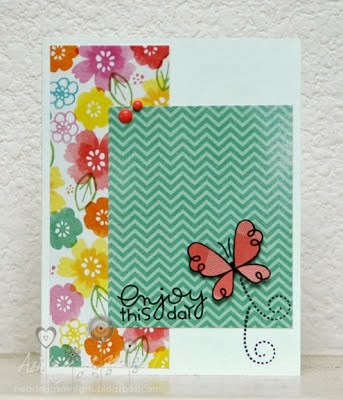 Love your cards, especially love the Hello Butterfly card. The negative space is fabulous. Super Cute cards!!!! Love them all! I follow thanks for the chance to win twine! Super fun cards Ashley! I can't believe Avery is 1 already! 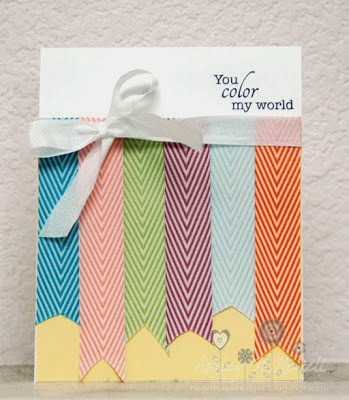 Wow, the You Color My World card is so lovely! These are all great! So great! Thanks for your inspiration! I'm a new follower! Love your cards! 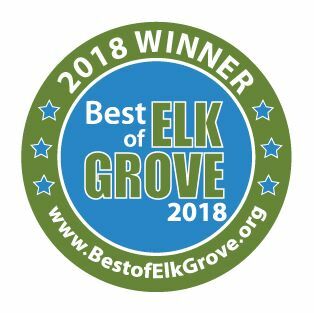 Thanks for sharing your favorites with us! Lots of creative projects! 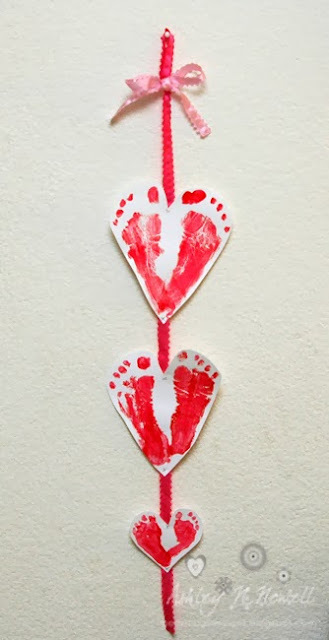 Love the hearts with the footprints, great idea! I am a follower! Happy birthday to your daughter, Ashley. Loved seeing all of your wonderful projects and cards! Fun projects! LOVE the Valentine hanging!!! Cute projects - love the card with the penguins. I follow you with bloglovin'. Love these projects Ashley! That first card was a great start to your post!! LOVE that one! I just love all of your cards! They are super pretty! Great projects, I like the Moxie card! I'm already a follower here! Loved looking back at some of your fun projects! Thanks for sharing! Such a fun collection of cards! So happy to be hopping with you, Happy New Year!!! I'm a new follower and love your work! Loved the moxie card! I'm a new follower and love all your cards and projects! Last one is my fav! I've been a follower for a long time now and always love your projects! That penguin card makes me giggle!! 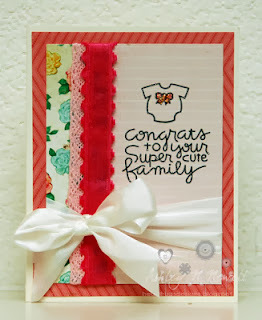 I follow your blog and wow, your cards are all adorable! I really love the Color My World design and the "cool" penguins! Happy Birthday to your daughter! Cute cards Ashley and fun too. OHHHH! LOVE that you shared your fav creations! 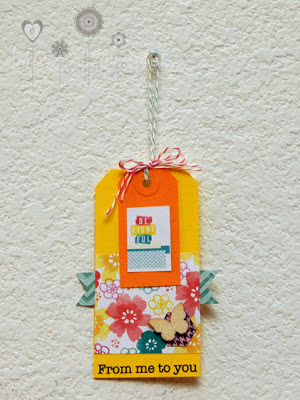 I LOVE all of your cards/projects-- but from this list… I would say that the Delightful tag is one of my favs! Perfect colors…. perfect design…. love love love it!